Sardonic Tales like the fourteen collected here, ready to wrench the reader's emotions, tantalize, and terrify. Drawing inspiration from the likes of Roger Corman, Robert E. Howard, H.P. Lovecraft, the Theatre de Grand Guignol, Universal's monster movies, Hammer horror, kaiju flicks, and more, all while creating something unique, intoxicating, and, yes, cruel. 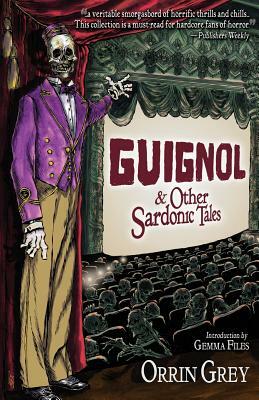 Guignol & Other Sardonic Tales has something for everyone... even the most jaded readers.